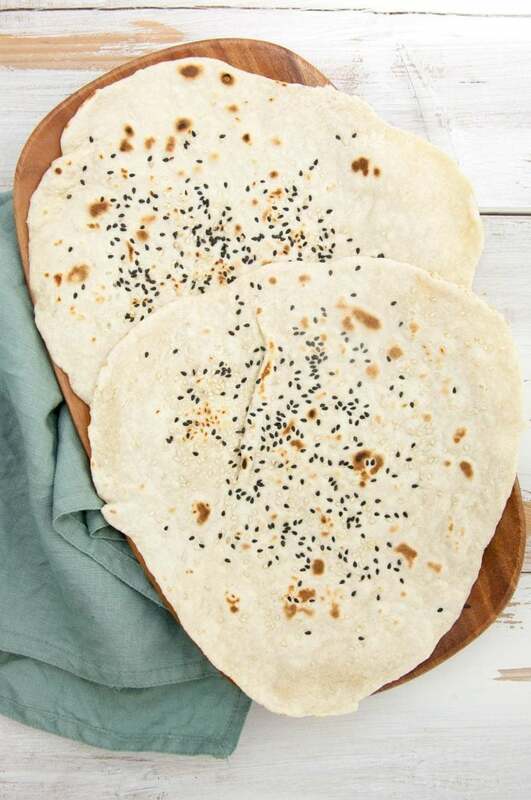 Recipe for a vegan, oil-free, 4 Ingredient Sesame Naan. 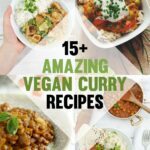 It only takes 5 minutes to make and is the perfect addition to any curries or other Indian dishes. 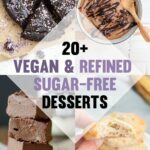 I have a very special recipe to share with you! My vegan, oil-free, 4 Ingredient Sesame Naan. It only takes about three minutes to make or even less! I’ve been experimenting A LOT with naans because I wanted to create one that goes really, really fast. I love quick curries so I needed a naan, that I could make that is ready when the curry is. 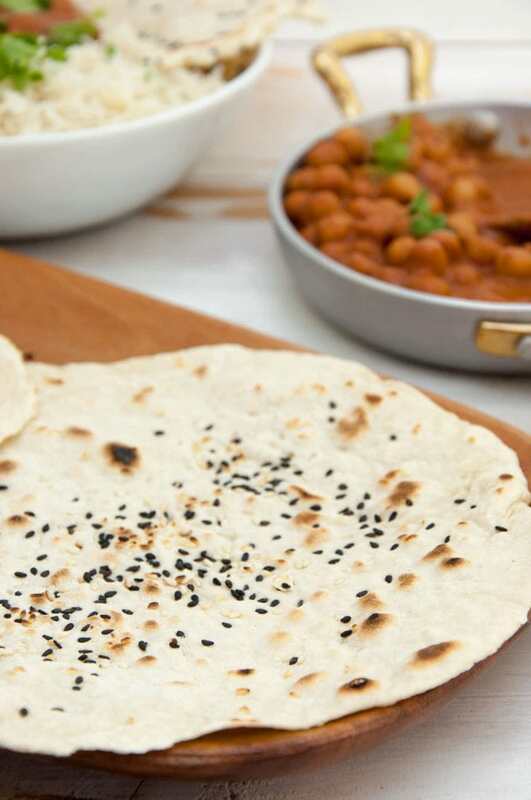 You may have noticed the naan (or variations of it) in previous photos like the Falafel Curry, Palak Tofu or Dal Makhani – you already see, there’s no curry for me without a naan! is made without yeast >> no rise time >> quick! 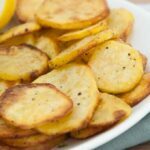 is the perfect side dish for any curry! Sounds pretty easy, right?! Well, it is! And I bet you have all the ingredients at home already! I love it when recipes are as simple as possible. So is this naan! All-purpose flour, salt, water and sesame seeds – that’s all that goes in there! No yeast means also no rise = so it’s so quick to make, you won’t believe it (actually, yes you will!). I’ve used black and white sesame seeds – but feel free to use only white or black ones or leave them out completely. Whatever you like! 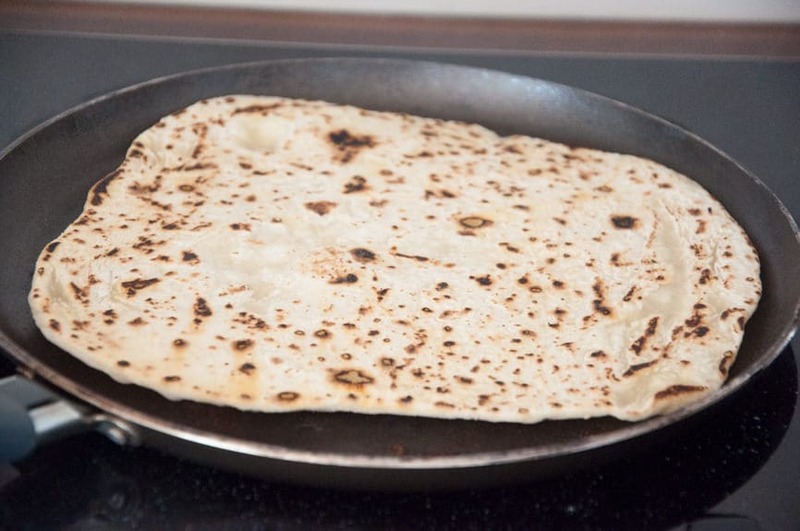 I’ve baked the naan in my flat crepe-pan, which works great! I always preheat the pan as hot as possible. It’s much faster than baking it in the oven! 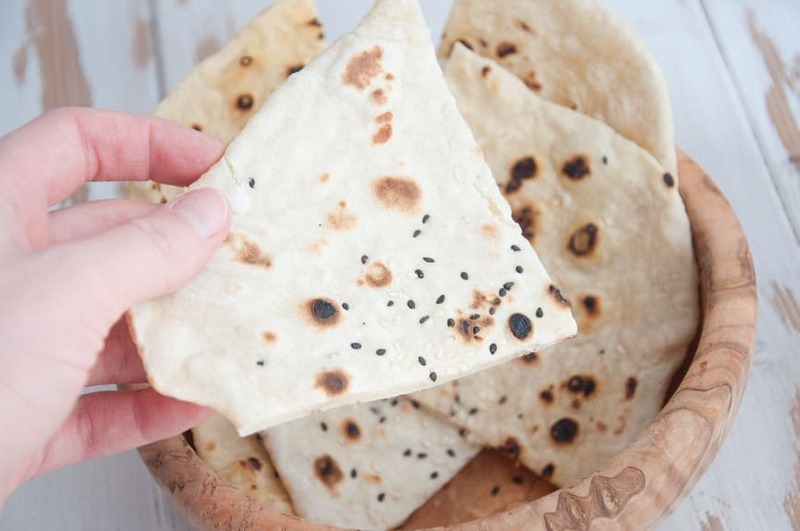 Recipe for a vegan, oil-free, 4-ingredient Sesame Naan. 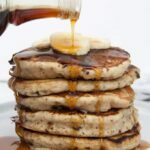 It's made without yeast - so it doesn't need to rise and is super quick to make (under 5 minutes!). 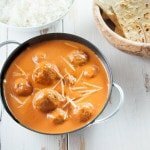 It's the perfect bread for curries or other Indian dishes. Heat a crepe pan or other flat pan over high heat. Add in the water and mix with your hand until it forms a nice dough like in the photos. 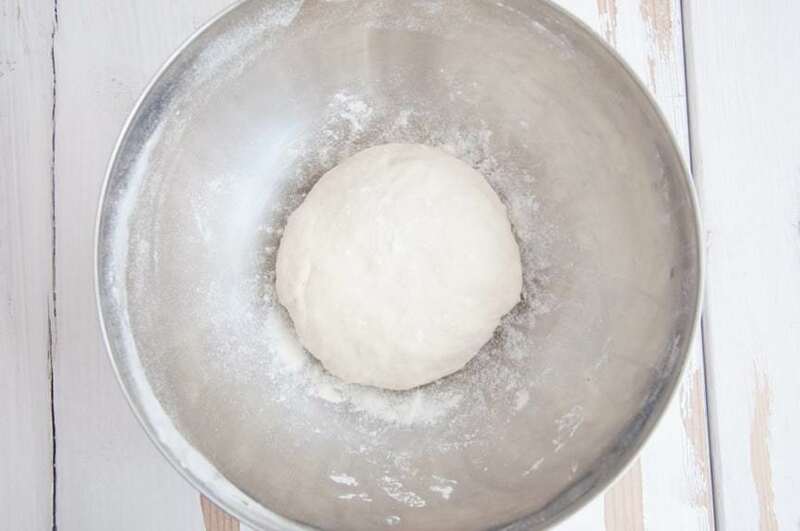 You may have to add a bit more water until you can form a nice, smooth dough. 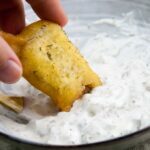 Divide the dough into two equal pieces and press them down a bit with your hand. 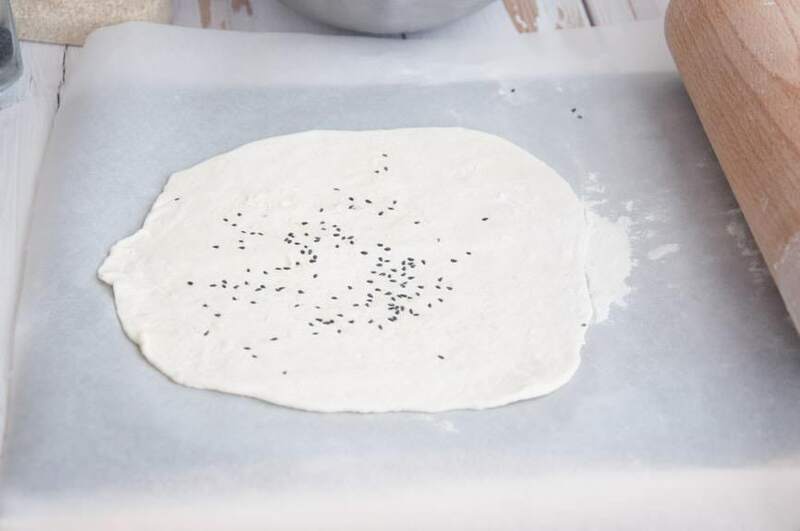 Sprinkle the sesame seeds on top and roll both of them out on a floured surface. Bake one after another in the pan for about 30 seconds, turn and bake the other side for a few seconds. Just have an eye on them so they don't burn, they won't take long! 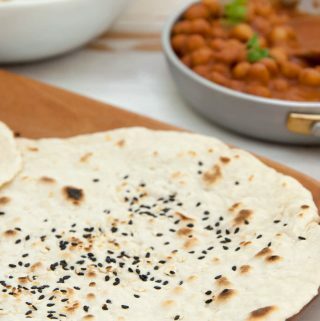 Enjoy the sesame naan with your favorite curries! This looks fantastic and I love that it has no oil, thanks! 5 minutes? Count me in! I always thought making naan at home would be super time-consuming. 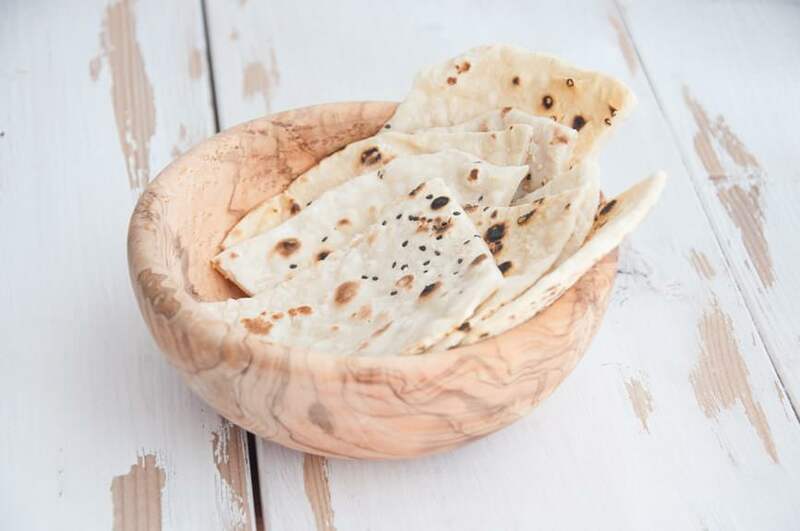 This naan looks delicious and I love the simplicity! Perfect for busy weeknights! Thank you Anu! That’s so nice of you! I feel so lucky to have been directed to your website via the vegan Facebook group “Power to the Veg.” You are now one of my favorite blogs! I will be trying this recipe today. Thank you for you being you! Aww, thank you so much Michelle! Your sweet comment totally made my day! I really hope you’ll like the Naan! 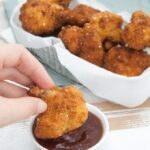 I am delighted to have found this oil free recipe, however I don’t use all purpose flour in my house. 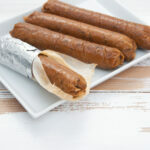 Would a whole wheat substitute work just fine? Whole Wheat flour should work too – however you may have to tweak the flour/water-ratio a bit. 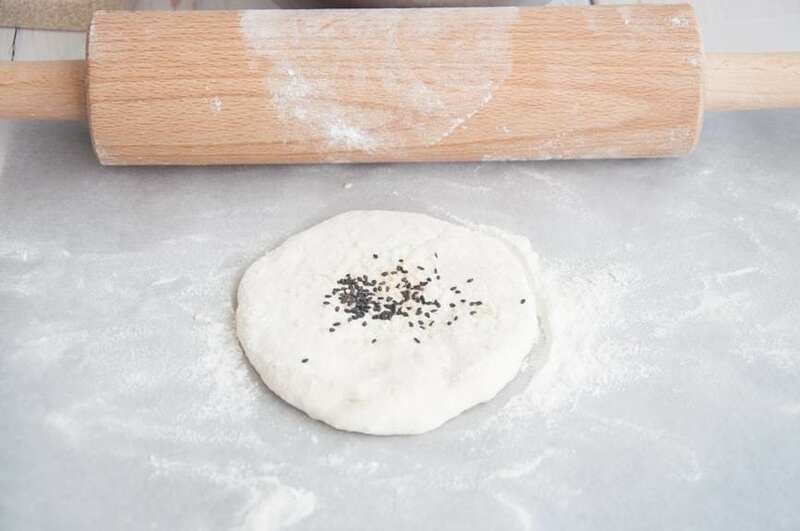 Start with less water and then simply add little by little until you can form a nice smooth dough. I have one question here. How easy is to clean the pan afterwards. 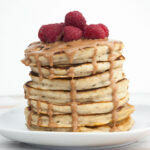 I tried to do this on a stainless steel pan, and it takes me 2 hours to get al the black marks afterwards. My husband sulks because I ask him to clean it. Is it best to use a coated pan? Thanks. Hi Andrea! A coated pan is definitely better! I always use my crepe pan (it’s a non-stick pan) and I never had problems with the cleaning. I let it soak a bit and then it comes off easily. 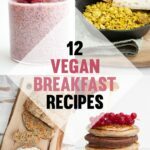 Did it this morning for breakfast… damn easy, damn delicious! Ate it with self-made hummus. Yummy! 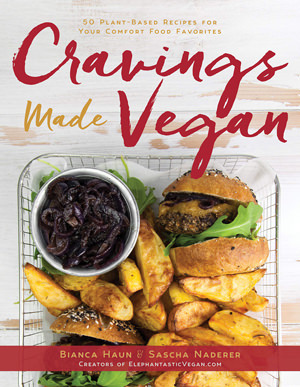 Mhhh great idea to eat it with hummus! Thanks for the wonderful feedback, I’m glad you liked it! This looks great! 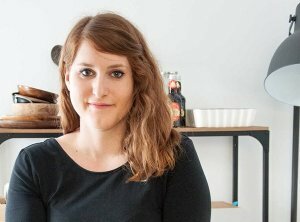 I was just wondering if it would be possible to use gluten free flour? Thank you for the recipe, it’s looks so yummy :D Would it work if instead of all-purpose flour I use a mix of spelt and buckwheat flour? Thank you for the recipe : I just did it and it s so great = easy, super quick and delicious … actually you are the Queen of flatbread .. I mean I love your recipe of the pizza and all the crackers I did. Congrats !! Thanks for the photo of the dough because I could use up a bit of left-over brown rice flour along with the all purpose flour since your photo showed how it should look, to get the water amount right — I’m glad you or others said whole wheat works, and that it was expected to work with spelt and buckwheat flour, so I just did it. 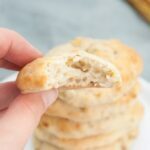 I’m also glad you called it naan, because I had googled for a fast vegan naan recipe and when your blog was one of the results, I knew to click on it because I have now made your awesome gluten-free chickpea flour sesame crackers many times, and they are always enjoyed, by my husband too. Your naan recipe is perfect because I did not want to wait for anything to rise! 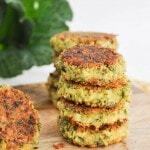 Haha I think this recipe is also the answer for when you’re too hungry to wait for quinoa to cook! Do you spray the pan?